Alan and I have returned from an attempt on 6938m Tengi Ragi Tau. High winds had delayed our efforts and we were not without wind on this climb. Spending two nights on the 1600m West Face, we were stopped 400m short of the summit due to a lack of safe bivy options and increasingly insecure conditions. However, for Alan and I, we believe this was some of the proudest alpine climbing we have done: 5000 feet of previously unexplored terrain, steep, sustained and difficult climbing at altitude. Approaching the West Face of TRT on the first day was not inspiring. Winds were still battering the face and occasional spindrift was pouring down - not as heavy or consistent as days past, but definitely still occurring. But we forced the issue and began climbing. After an initial couple of ice/mixed pitches, the face steadily ramped up in steepness. 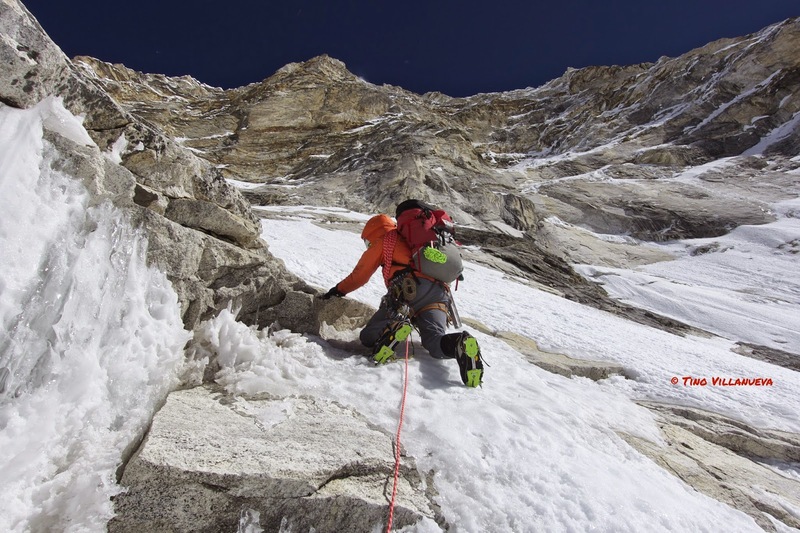 While climbing we frequently had to hunker down and endure wind induced falling debris. 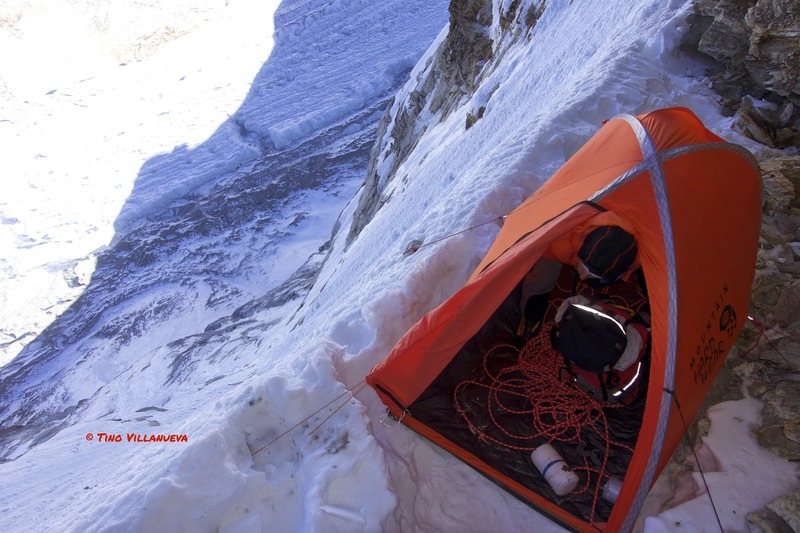 Endless 50-60 degree terrain led to a grade 4 and a grade 4/5 M5+ ice pitch. Beyond these ice steps, the face continued on 70-80 degree snow and ice flutings and runnels. Finally, as the sun was setting we reached a perfect bivy spot - or so we thought. All night rocks, ice and other mystery debris hit the tent, other bigger objects whizzing past the tent through the darkness, leaving us to hope our fortress of taut nylon was stronger than it looked. After a sleepless night, we began the next day on calf pumping 60 degree traversing bullet ice. 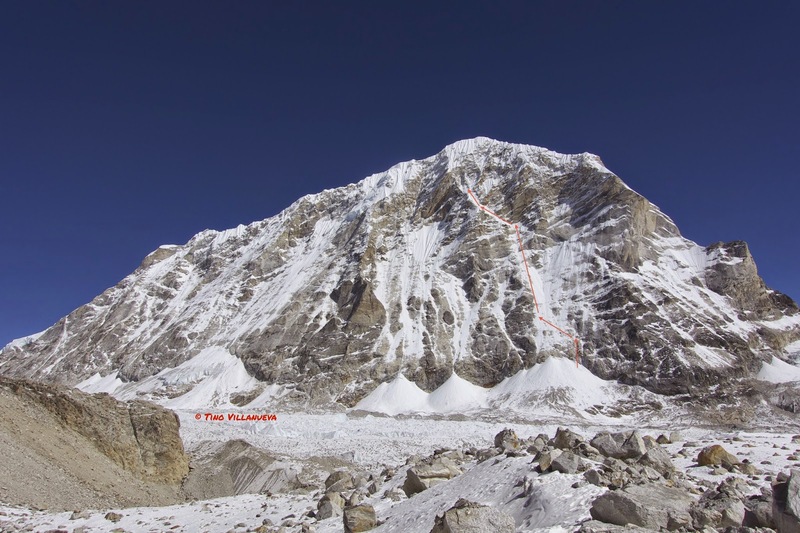 Going ever upward, protected ice climbing led to unconsolidated snow flutings. Trying nearby rock options (~5.9) proved similar in nature: loose, with poor protection options. With progress slowed considerably it was time to look for a spot to spend the night. However, the face was so sustained there were no options for resting, much less a tent platform. After stomping and hacking at the only bivy option we had, and realizing between faceted sugar snow falling away and shallow ice and rock beneath, this spot was not going to work; and it was not safe from wind and related rock and ice fall. No sooner than we started heading down was Alan nailed by ice. It was time to move. The mountain was falling down around us, and we had pushed up and dodged the bullets, now we needed to retreat to safety. We spent one more night on the mountain and, I lost count, but did somewhere around 25 rappels to get back to the Drolambo Glacier below.